CABINET COOLER removes heat generated in smaller cabinets. 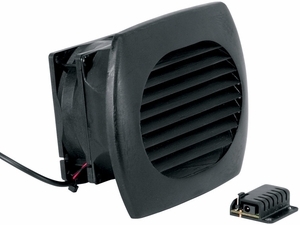 Pulls heat from entertainment centers when required, extending fan and equipment life. Can be painted to match the aesthetics of any environment. Removes heat generated by satellite receivers, cable boxes and other equipment.